We haven’t been back to Pio Pico since Christmas 2009. One of the best parts about this preserve is the hiking available both on preserve property and in the surrounding hills. Tuesday morning we both enjoyed a three mile hike on the preserve. We covered both north and south sides. We were surprised to see the north side of the park (without sewerage) was quite busy. Nobody playing pickleball though. 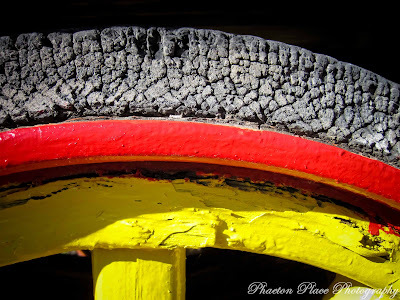 Past visitors to Pio Pico reading this blog may recognize the first two photos on today’s post. Any guesses where in the preserve they were taken? 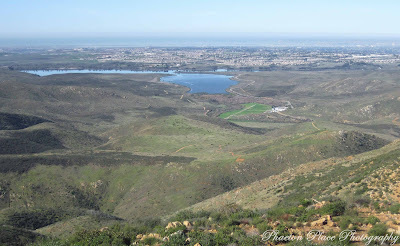 This morning we packed a backpack with water and snacks and headed up into the hills on the south side of Otay Lake Rd. Chris used RunKeeper Pro, a new app that uses the GPS on her iphone, to keep track of the distance traveled. All together we walked 12 km. All uphill for the first half and of course, all downhill on the way back. We saw lots of border patrol vehicles on the gravel roads, a C-130 Hercules aircraft flying over the California/Mexico border and a helicopter patrolling the hills as well. The road up was very steep but our trekking poles made it a little easier walking. Coming down was a little tricky and painful too. Should have taken more water with us. Lots of switchbacks as seen in the photo above and very little shade along the way. Our Tilley hats kept us cool though. The views along the way were absolutely stunning. 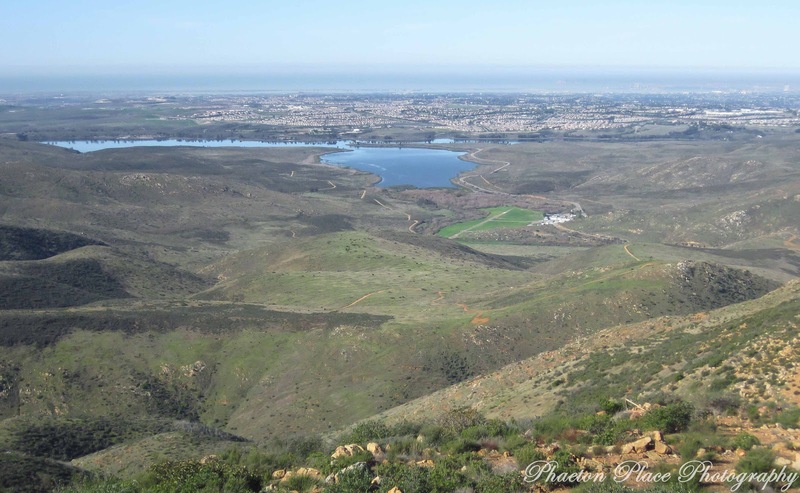 That’s Otay Lake in the foreground which is a popular fishing spot and great for birding, lots of hawks and eagles. San Diego and the bay area are off in the distance. We left at 9 am and got back to Phaeton Place before 1 pm. A great day, very tiring, but a great day!! 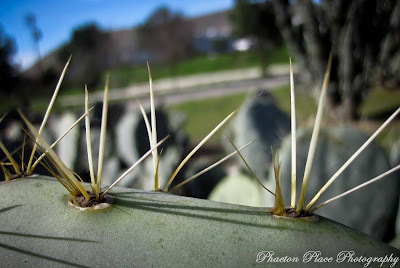 Today’s photos were taken with our Canon PowerShot D-10, point and shoot camera. This entry was posted in California, Entertainment, Photography, Thousand Trails. Sure wish we could walk in places like that here!! Between snow and cold…my walk is around the kitchen..great pics! great shots today! 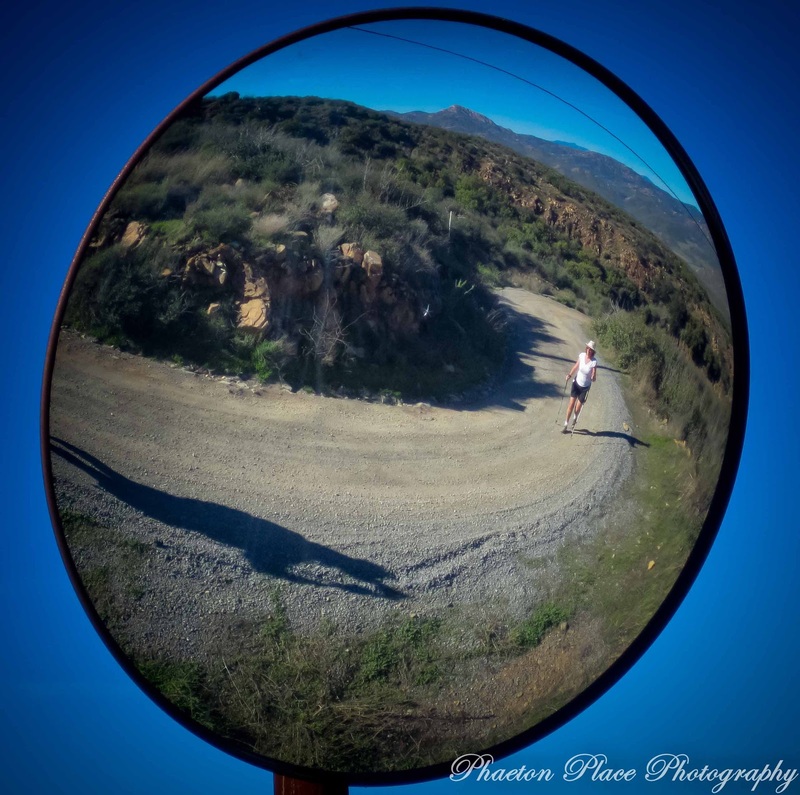 !..love the mirror one!..and the first one too..oh, heck all of them are good!..thanks for taking us on the hike!! Thanks for sharing what kind of camera you used..I think my problem is the photographer, not the camera! wish you were closer to get some photo tips!